Honeymoon in Kenya - Adventure and romance! Go on a Honeymoon in Kenya... Adventure and Romance! Going on a honeymoon in Kenya is surely one of the most adventurous and exotic ways to start off your marriage. 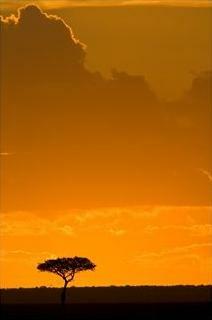 Kenya is regarded as the leading safari destination in the world. It has some of the finest and biggest wildlife parks of Africa, where you can spot animals like lions, elephants, rhinos and leopards in the wild. You can also visit traditional villages. The inhabitants often receive tourists and perform dances and rituals for them. Kenya also has fantastic white sand beaches. Blue water, palm trees, sun throughout the year and quiet and affordable beach resorts – it’s all there. The beach resorts near Mombasa, dominated by it’s 16th century Portuguese fort and the wonderful island of Lamu draw thousands of newlyweds each year. And don’t underestimate the impact of seeing everyday Africa. This experience will stay with you for the rest of your life. If you’re from Europe or North America, Africa is just another planet. If you’re planning to do you honeymoon in Kenya, why not consider the possibility of getting married in Kenya as well? It’s certainly a very special way to get married, and you’ll avoid the stress of having to go off on your honeymoon to a far destination right after your marriage ceremonial. Many hotels and beach resorts offer wedding services, taking much of the organizing hassle out of your hand. It’s even possible to get married on the beach, overlooking the Indian Ocean. Here’s more about the pros and cons of a Kenya beach wedding. Have a look at my main page about Kenya weddings, as well as this overview of legal details of marrying in Kenya. Have you been on a honeymoon in Kenya? Or are you making plans? Tell us all about it! What's YOUR Kenya dream honeymoon?